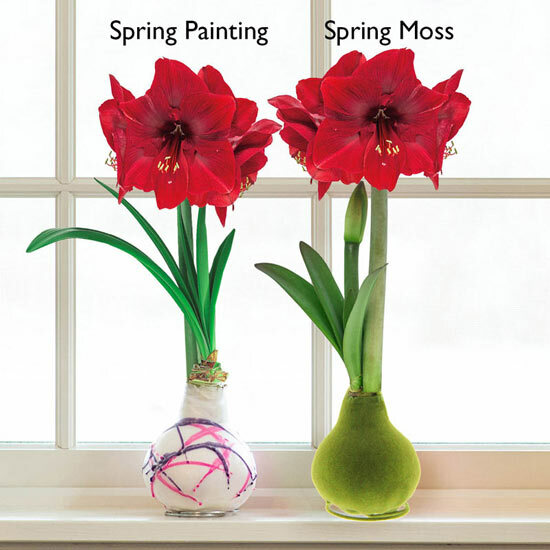 Our Waxed Amaryllis are living works of art that you'll be proud to send or display for Valentine's Day, birthdays, Mother's Day, Easter or any day! 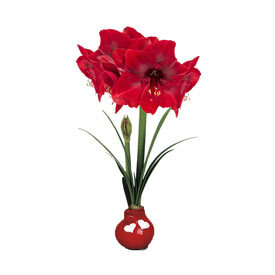 Instant conversation starters, each jumbo, 32-34 cm amaryllis bulb will grow and flower with literally no effort—no potting, no water, no staking! Just place it on a flat surface in bright, indirect sunlight and in 3-6 weeks, a glorious bouquet of blooms will appear atop its 1-2 sturdy stems. 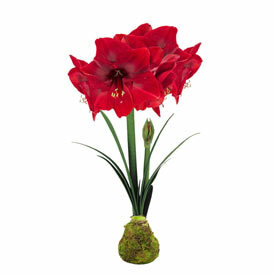 Once they have finished blooming, waxed amaryllis should be thrown away like cut flowers, as they will not rebloom. Sweet Hearts Waxed Amaryllis has a red amaryllis bloom and Spring Painting Waxed Amaryllis has a pink and white amaryllis bloom. 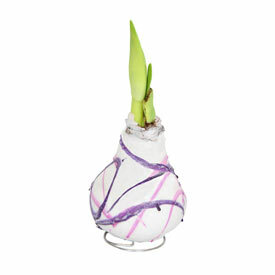 Jumbo amaryllis bulbs are carefully coated in protective wax. This seals in all the moisture and energy needed to produce their big, beautiful, pink-and-white blooms. Each comes equipped with a metal stand at the bottom for stability. 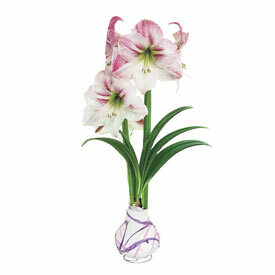 Happy Mother's Day Waxed Amaryllis - This item will begin shipping May 3rd, 2019. Just in time for Mother's Day delivery! These are so great! I loved watching it grow every day! Blooms were so pretty! My daughter purchased a lovely Waxed Amaryllis prior to Christmas. While it's said that Amaryllis do not re-bloom, her's is on it's third re-blooming, and it's just lovely!